The Spiders are led by lead Guitarist and vocalist, Nick DeStefano who has teamed up with John Henderson on Bass and Nestor Arcelay on drums, both longtime veterans of the NJ club circuit, this power trio has spent the last few years developing a very loyal following, and they hope with the release of their powerful new single Election Day they will get the mainstream exposure they truly deserve. With the U.S. election coming up this is a good response to all of the hype and hoopla, and The Spiders pulled it off very well with this simple but effective tune and accompanying video. Their last EP was pretty good so this comes on the heels of that with good current momentum. The video and song go the distance in displaying the basics of what some call this “dog and pony show.” And if you’re not into politics you’ll agree with that much, and The Spiders don’t hold back but they do advise to do the right thing by the end of the track, as the video shows. So, no points taken away for being both lighthearted and serious in the greater scheme of things. The outcome is essentially inoffensive but nevertheless informative. It’s not easy to hide which side you stand by, as both take a pretty equal amount of flack which is pointed out for the most part, but there is also a good song underneath the subject matter, and it shouldn’t be dismissed. Some fine hard-edged guitar starts the number going and a multi-tracked vocal comes with a big chorus with them shouting the lyrics. This is all done very well and helps get the point across while keeping the song in mind the whole way, which never loses direction. It builds up to some nice musical interplay which winds up making the whole song. You just want to hear that part over and over again. 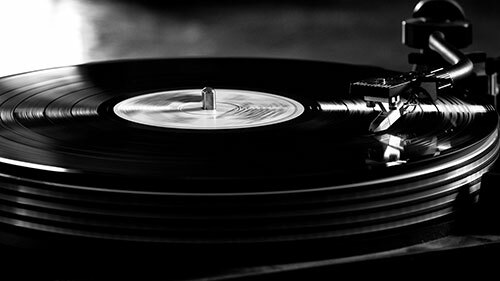 But it also doesn’t distract a whole lot from the subject because it’s just one flowing part of the tune. They almost put you at the same odds as the two politicians in a way, and gives some insight for those who might not be following. But for the most part everyone knows the difference, even if they make it difficult to choose in many ways. You go through all of the fairness and non-fairness in your own mind after hearing this. It goes the furthest in getting that point across, if anything. One thing I am reminded of mostly about the song is The Ramones. But when you see the title, Alice Cooper also comes to mind. And with the two not being all that different, it’s not a problem as they were both longhairs and anti-establishment bands. But The Spiders are an original act who make this subject their own for the people. Having said that I wouldn’t exactly call this “punk” or “glam rock.” It has more classic rock and metal values going for it, even though The Spiders do have a punk-ish style. It’s also worth noting how an election can either distract from or add to any music lover, but The Spiders take their chances and let the ship and the votes fall where they may. Once again no sides are taken in the song, and therefore no sides are taken in the video which tosses out the usual pictures and statements going around. They go above and beyond their normal thing to really knock out a powerful song with all of rock the bells and whistles. They have plenty to say in the process of getting the point across to the people. Of course the video includes pot shots at both to clarify how ridiculous it is, but they never use any words concerning that. They just show images of the faces they’ve been making while the media captures it all. There is nothing elaborate to it, which is the video’s only downfall and perhaps could have been done a lot better, but it serves its purpose well enough behind what is definitely a good piece of music with comprehensive words. And if I were to nit-pick it would be that the chorus is too repetitive after some of what are otherwise strong verses. I like this enough to want to see it go viral and immediately get circulated to the masses in a way that keeps it going through November so it lasts till the big day. It has the potential to do that, so, hopefully it goes far. 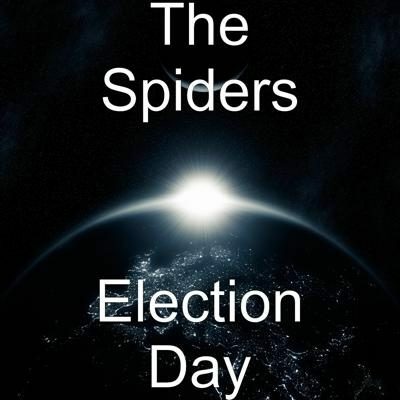 If you enjoyed Election Day, give The Spiders a like on Facebook by clicking here.